Washington and Calgary end game with a massive fight involving all players on the ice. Jakub Vrana is having the best game of his NHL career. Jamie Oleksiak wanted to fight Tom Wilson. That was a BAD idea. Someone tell him when he wakes up. Charlie McManus is at it again, with another Capitals themed outfit at the arena. Kids in Turkey costumes attempt to play hockey. What could be more fun on Thanksgiving? Vote for the Washington Capitals! We'll definitely be watching for Russian meddling. You're going to need a shower after watching a few more angles of this dirty, dirty goal. 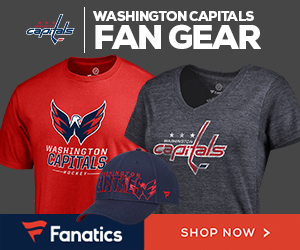 Capitals Championship Parade in Washington on June 12th!